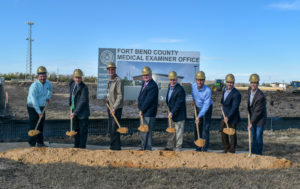 On April 16, 2018, Fort Bend County Judge Bob Hebert held the swearing in of County Court at Law Judge Pedro Ruiz. Judge Ruiz was appointed by Commissioners Court on April 3, 2018 to fill the vacated seat of the late Ron Cohen who was elected into office in 2016. Pedro will serve until the November 2018 election when voters will fill the remaining two years of Judge Cohen’s term.